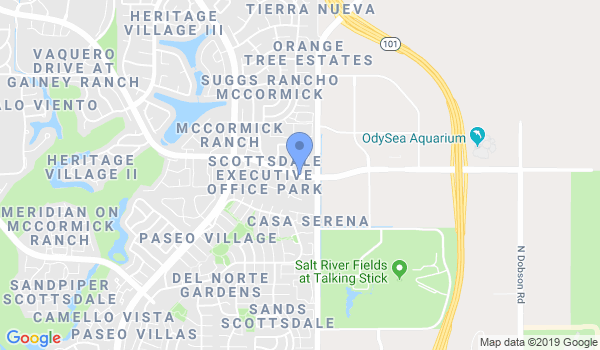 Jiei Shudan is the only place in Metro Phoenix where individuals can learn to master and rank in Ryukyu Kempo/Kyusho Jitsu, Small Circle Jujitsu and Modern Arnis. You have a choice of ranking in one, two or all three. Our Mission is to provide a well rounded curriculum of quality Martial Arts that are useful in real self-defense situations and develop the “whole person” for the dedicated Martial Artist. Jiei Shudan provides the opportunity for Martial Artists to evolve their art and techniques. Our Ryukyu Kempo, Small Circle Jujitsu and Weapons training curriculum includes pressure point striking, escapes from chokes and holds, joint-lock grappling and weapons self-defense. The serious Martial Artists can learn the classical art and move beyond the “block, kick and punch” aspect. Kata will take on new meaning through the discovery of the hidden treasures within the forms. Whether a beginner or experienced Martial Artist, all those who are dedicated to learn are welcome to come join us at Jiei Shudan! Sign up today! Martial Arts training is taken to a different level at Jiei Shudan. This begins with ‘warm up’ exercises that are not the standard calisthenics, but exercises that go beyond preparing the body for training by helping built ‘muscle memory’ of basic moves. Every part of training has a purpose, just like every part of a kata. There are no ‘filler’ or ‘busy’ activities. In addition to the techniques and katas for each style, training will also include healing techniques that come from Reiki and Dayan Qigong (Wild Goose) to develop the “whole” person. Jiei Shudan offers what are called 'Family' or 'Mixed Age' sessions. This means that adults, teens and children learn together. This allows the adults, regardless of rank, to help mentor younger members and provide mature guidance. Parents are encouraged to use this opportunity to bond with their children by train together. Additionally, our regular sessions are also 'Mixed Rank'. This means that all members are welcomed into the session without regard to their rank. This allows the lower ranks the opportunity to see examples of higher ranks and encourage them to strive for higher rank. For higher ranked members, this gives them the ability to work with lower ranks to assist, encourage and mentor lower ranks. The end result is to build a strong community within the Club. At Jiei Shudan, members can rank in any of the three (3) primary styles that are taught. Unless a Member has advance ranking in another style, the Member should rank in Ryukyu Kempo/Kyusho-Jitsu at a minimum. Would you like more information on hours, classes and programs available at Jiei Shudan? Please contact the school with your questions. Update the details, Write a Review or Report Error of Jiei Shudan. View all Dojo in Scottsdale or in Zip code 85261.